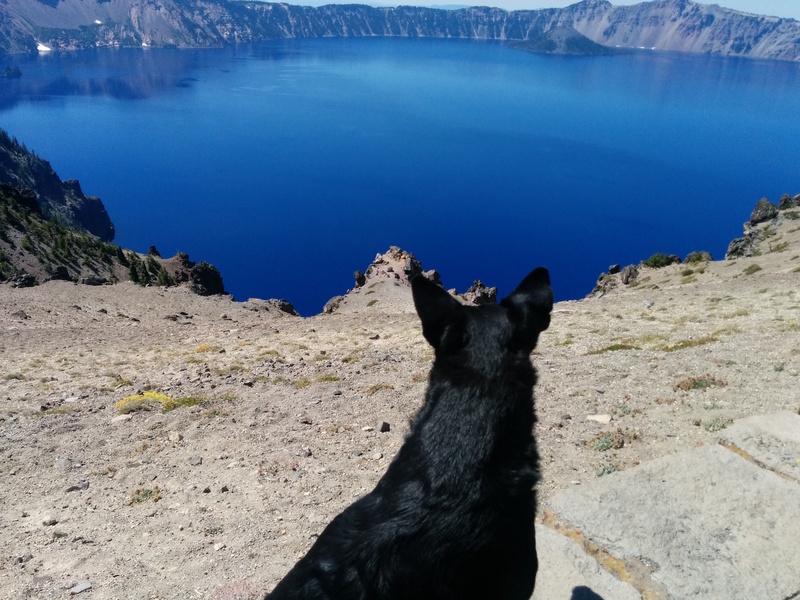 When we decided to head back up into Oregon to do some exploring during the state’s short period of non-wet and non-cold weather one of our major targets was Crater Lake. 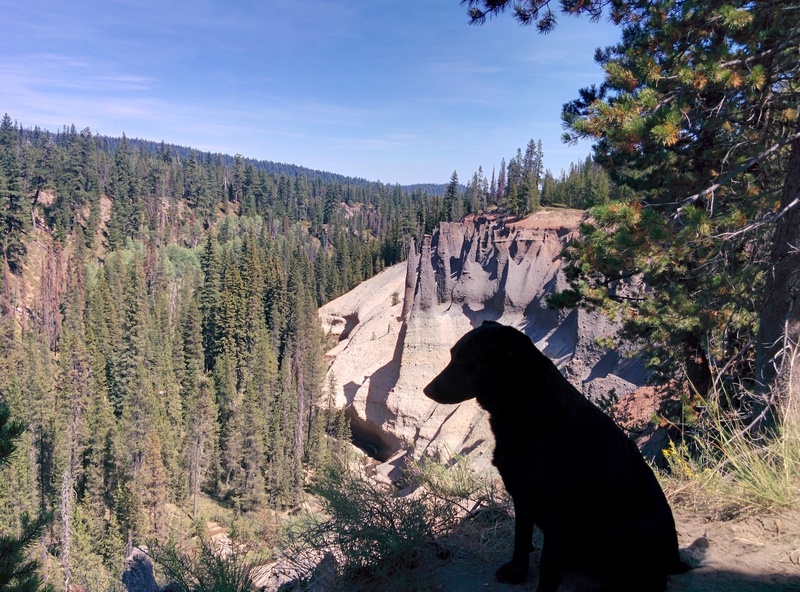 We were camping in the National Forest up above Chemult and decided to take a full day to drive down to the lake and check out the area. 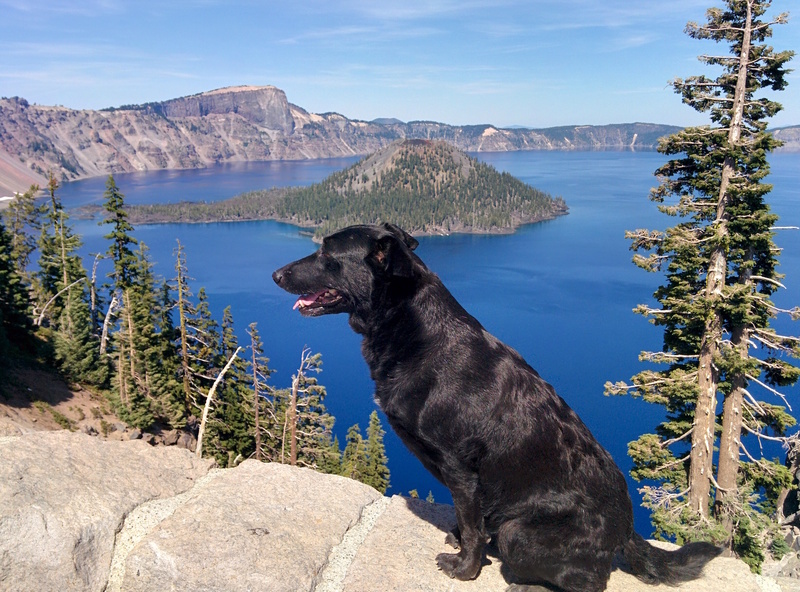 Crater Lake National Park was established in 1902 making it the fifth-oldest national park in the U.S. In such a visually stunning state as Oregon it is, for some inconceivable reason, its only National Park. The lake and surroundings made quite an impact on one of my favorite poets, Joaquin Miller, known as “The Poet of the Sierras.” In 1903 he talked his way onto the Will G. Steel Excursion to the lake. 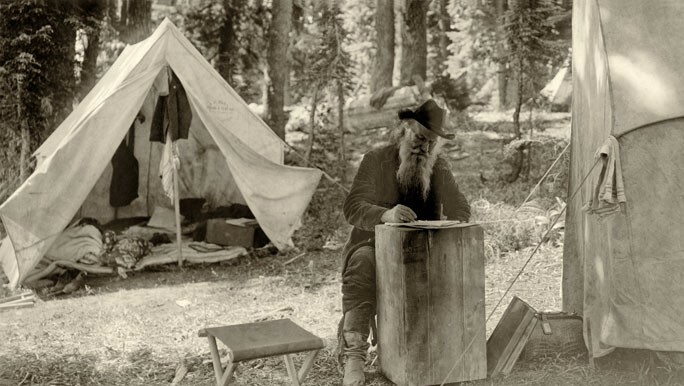 While there he wrote an article for Sunset Magazine called, unsurprisingly, “Crater Lake“, which was subsequently published in the September 1904 issue. 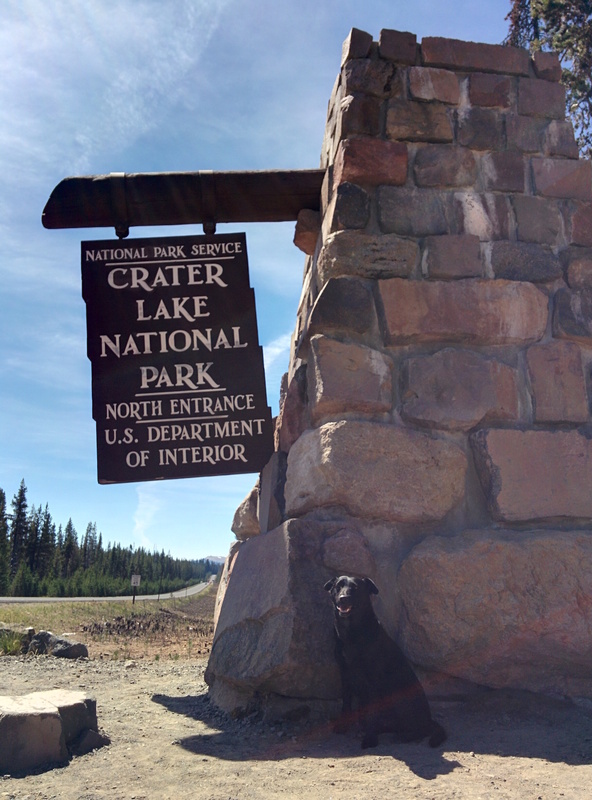 We’ve been to the famous Meteor Crater in Arizona a couple of times and for some reason I guess I’ve always assumed that Crater Lake was made by a meteor impact as well. I was amazingly incorrect. 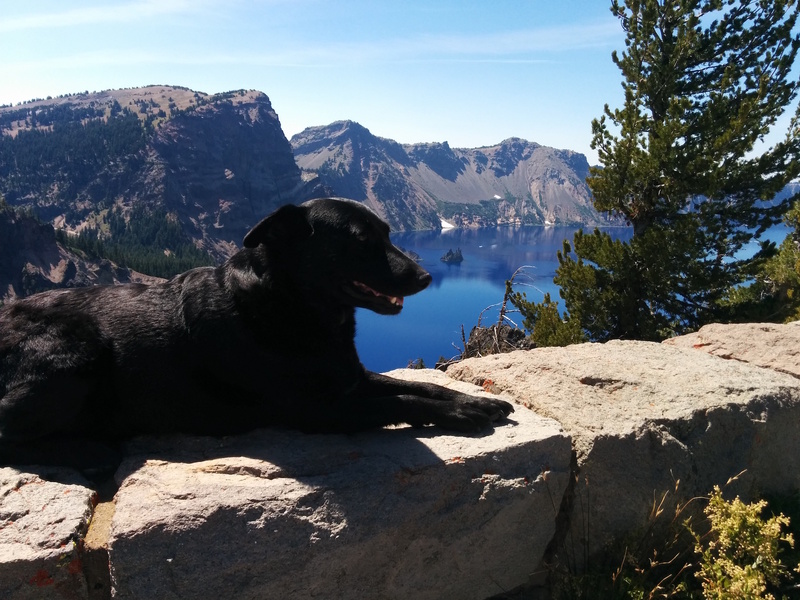 For tens of thousands of years a large volcano, Mount Mazama, towered over the region. About 7700 years ago the volcano awoke from its slumber and, over the period of a couple hundred years, began a series of eruptions that were so successful that its magma chamber could not refill its ejected lava and the volcano collapsed in on itself to fill the void. 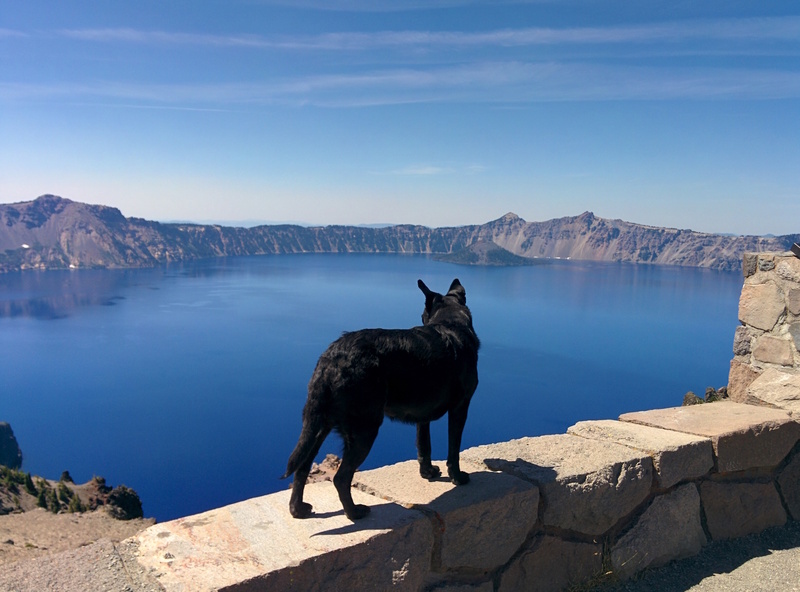 Over the next 750 years or so the crater was filled by rain and snow melt creating Crater Lake. At 1949 feet it is the 9th deepest lake in the world, the 2nd deepest in North America and the deepest lake in the United States. Since there are no rivers that enter or leave the crater no silt is flushed into its waters making it one of the cleanest and clearest lakes on the planet. Its great depth and cleanliness causes it to absorb all colors of visible light except blue resulting in its characteristic hue. We took the whole day and drove around the entire lake, mostly on Rim Drive, stopping at many of the dozens of scenic turnouts that beckoned. Wizard Island rises 764 feet above the surface of the lake and is itself essentially a volcano within a volcano. After the major blast and collapse that created the caldera, volcanic activity was still occurring. 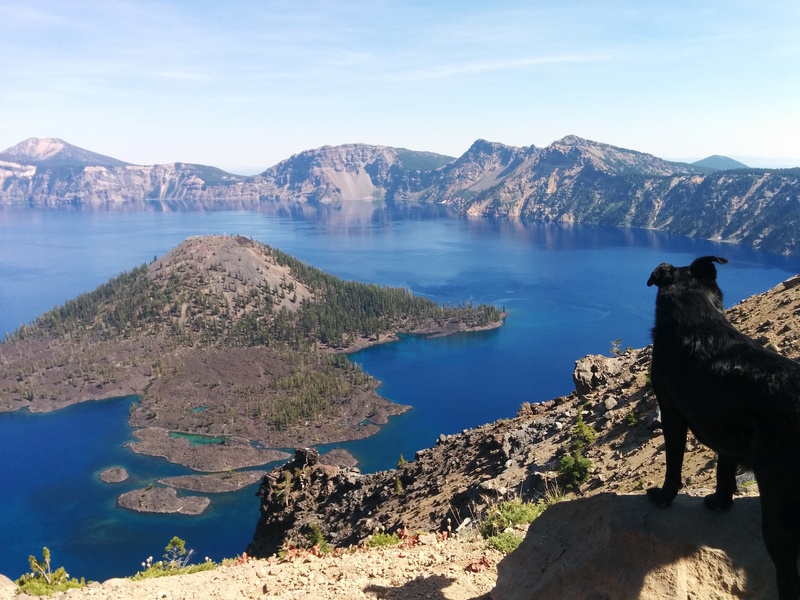 Over the next several hundred years smaller eruptions coated the floor and then hardened into a seal which allowed it to capture rain and snow melt which eventually became Crater Lake. During that time Wizard Island started life as a vent that spewed magma which cooled in the air and fell as cinders creating a cinder cone which continued to grow and keep itself above the rising waters. The crater at the top of Wizard Island is 300 feet wide and 90 feet deep. The only other island in the lake is Phantom Ship Island which is tiny compared to Wizard Island. We stopped at several scenic overlooks on the other side of the lake from Wizard Island. One was so windy that Willow’s normally half-flop ears stood at attention the entire time she looked out towards the lake. 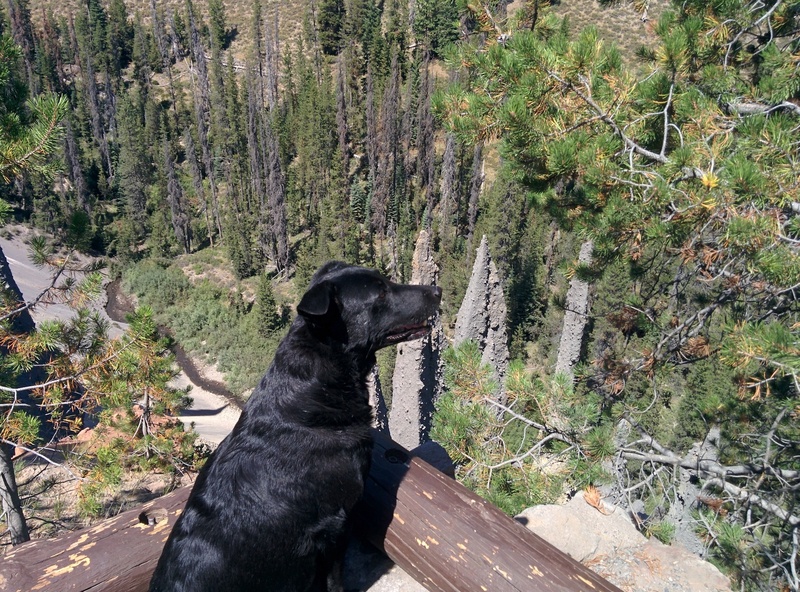 Nope, Not Squirrels Down Below That Got A Rise Out Of Her Ears…Wind. During the drive around the lake we saw a sign directing us to The Pinnacles. 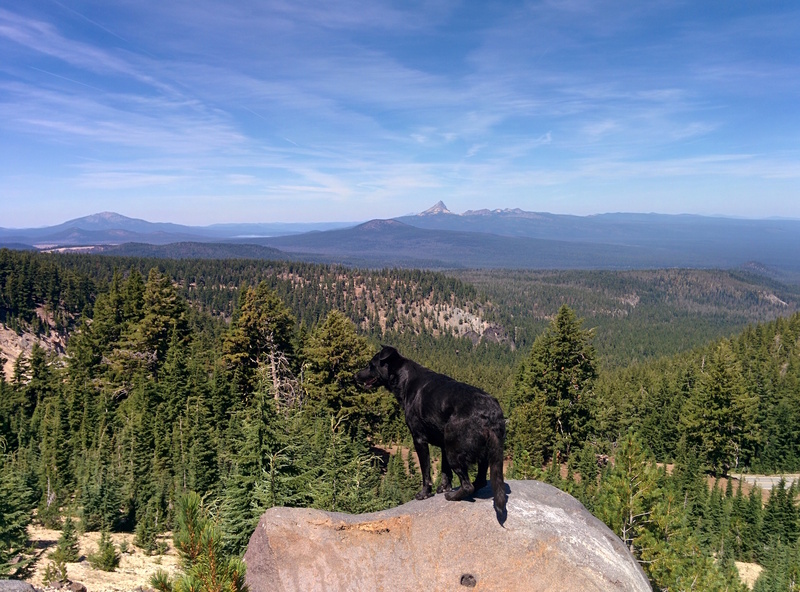 Having done essentially zero research before coming here (because not knowing what it’s all about and then learning about it firsthand is part of what makes this an adventure) we quickly decided to take the turn off and check The Pinnacles out. After about a six-mile drive on a two lane asphalt road on its last, wobbly legs we arrived at the turn-around and small parking area. 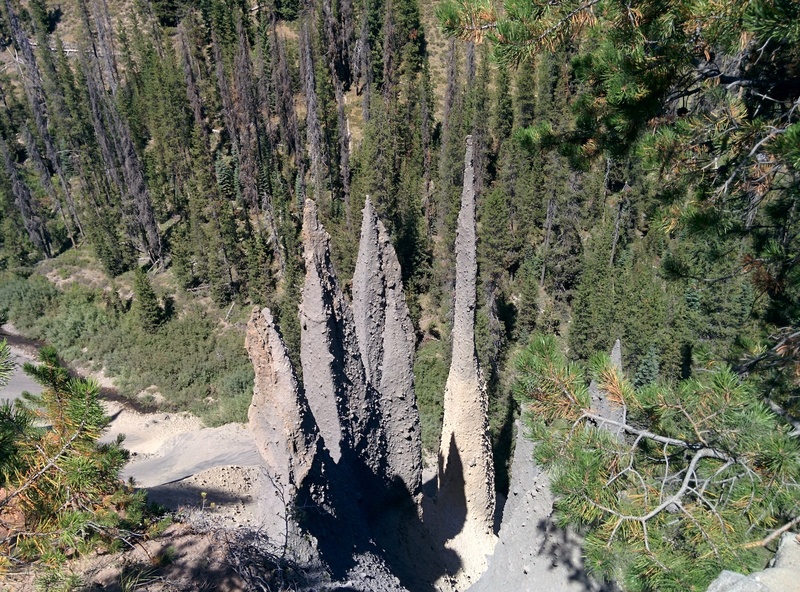 If my understanding of the geology at work here is correct the pinnacles were formed during the same era as the immense eruption that created the caldera which later became Crater Lake. During that time this whole area was under a 200-300 foot thick layer of ash and pumice. For many years afterward, hot gas escaped to the surface and slowly cemented ash and pumice together in these tubes called fumaroles. Thousands of years of erosion then washed away most of the surrounding loose ash and pumice, leaving these tall pinnacles behind. The scenic pullouts around Rim Drive are made primarily to facilitate views in towards the Lake. 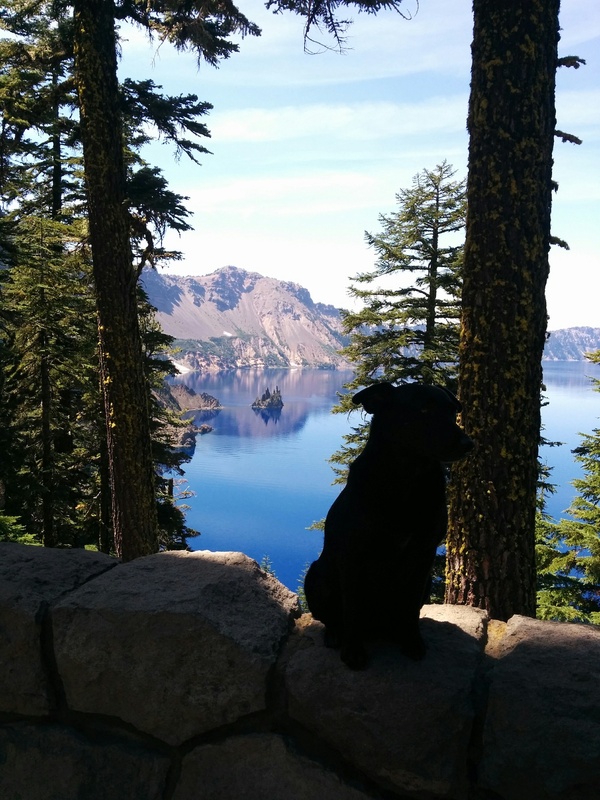 Since Crater Lake is set inside over 183,000 acres of the National Park the pullouts are also capable of offering stunning views out the other direction. 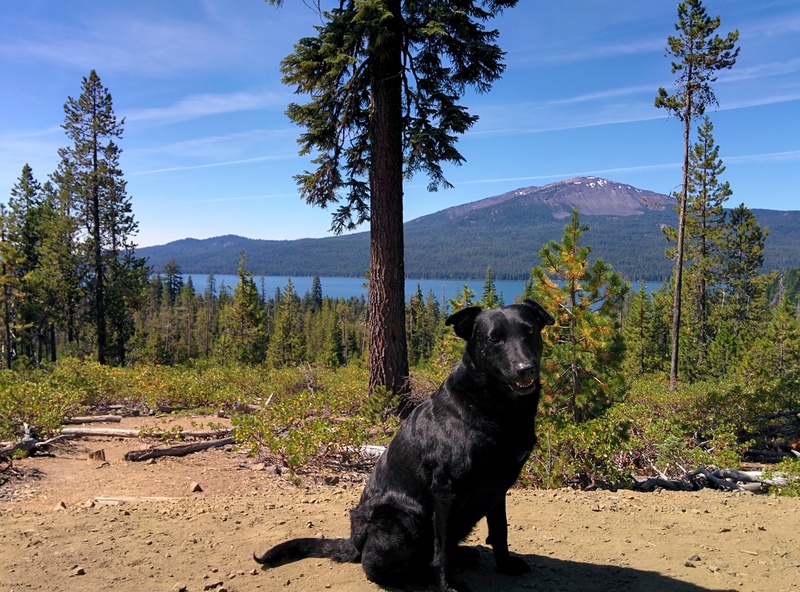 When we came into the general area on Highway 138 we stopped at Diamond Lake for a quick break. Looking out West across the Lake we could see Mt. Bailey while 180 degrees to the East rose the iconic, sharp, Matterhorn-like peak of Mt. Thielsen. Now down at Crater Lake we took the opportunity to look back Northward and the most prominent physical feature one can see is the sharp tip of Mt. Thielsen sticking up on the horizon. Towards the end of our day we stopped in at the historic Rim Village to check out some of the historic buildings there but traffic and parking were so busy and full that we decided to just take our leave and head back to our campsite North of Chemult. It was a beautiful day and we were lucky to see so much of the Lake and its surroundings without dealing with the fog that can completely fill the Lake basin and block views of the water. We are planning to head up into that area again next year so we can view the Total Solar Eclipse from directly under its path across the United States. We will make it a point to get there early so we have time to retrace some of our steps and explore more of that stunning area. Nice to see you back on the road. I finished your blog from the beginning and appreciate the new content. I share your interest in minimalist travel and “good” beer. My own travels are on hold until the last kid is off to college. Hope to buy you a beer in a couple of years if our paths ever cross. Thanks John. Actually just catching up on a backlog of blog posts during a short hiatus for Willow’s ear surgery and recovery. We’ll be back on the road in early December and then heading back down into the American Southwest in early January.